Today was actually a record high, and it felt HOT! I decided to wear my Diane Von Furstenberg wrap dress that I bought last season today. 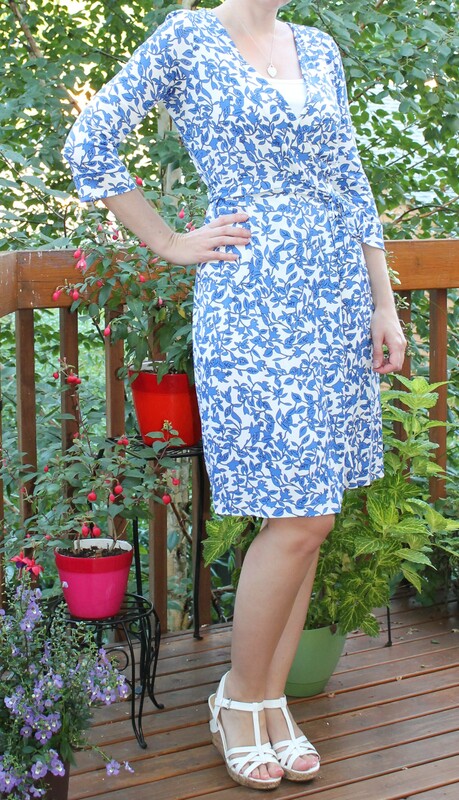 I love the blue and white print, and I appear thinner than I really am in this dress. Perfect day for this dress.